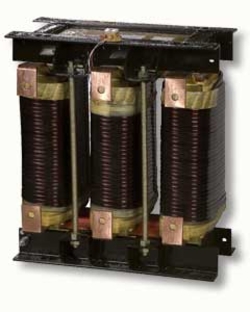 In addition to our standard products, trafomodern also manufactures all types of customer-specific transformers, chokes and power supply units. The majority of our customers are engaged in machine and plant construction. In this sector, customers expect not only high quality standards but also a service that caters for their special requirements. The customer may require inductive products with special technical features such as operation at high ambient temperatures with special protection against moisture, or products that fit neatly into the available space. We make inductive products that do just what you need. Trafomodern thinks of each transformer and each choke as a miniature system. 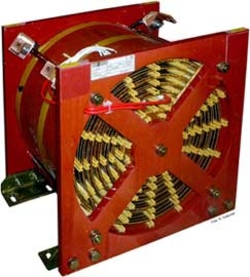 Single-phase medium-voltage transformer 3kV / 50kVA for galvanic separation of toroidal transformers for test stand applications. Air choke used as a smoothing choke for a tractionised IGBT inverter (750VDC). Designed as an air-cored choke for forced-air operation at high ambient temperatures (65�C). Compact design for direct installation into the inverter enclosure. 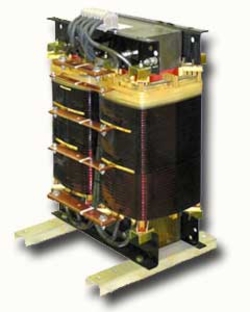 Single-phase transformer (75 kVA) for test stand applications with several tappings and rated current up to 750 A.
Customer-specific DC smoothing choke in the DC link. Designed as a modular unit of protection type IP54 for installation in parallel within the frequency inverter. 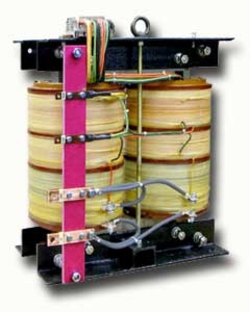 Watertight, oil-tight and gas-tight version of a cast resin series transformer for use in the open air. 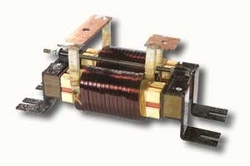 Customer-specific three-phase inverter output choke, arranged as three single-phase iron-cored chokes for installation on the motor side. 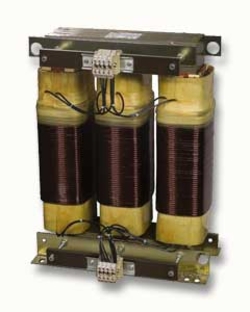 Three-phase isolating transformer with increased air clearance and creepage paths (BIL 60). Customer-specific rotor choke for international use on wind turbine rotors. 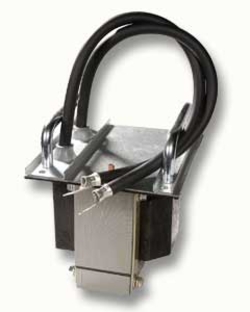 Matching transformer in an IP23 enclosure, for voltage matching to local conditions (variable voltage combinations, variable power). 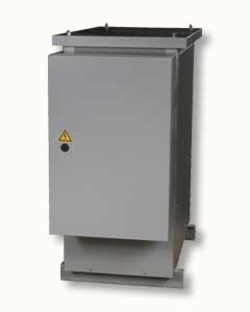 The circuit breaker and / or filter are housed in an IP54 switching cubicle, satisfying the EN60204 Machinery Directive. As a specialist supplier, trafomodern is limited for the most part only by the maximum product weight limit of 2400 kg. 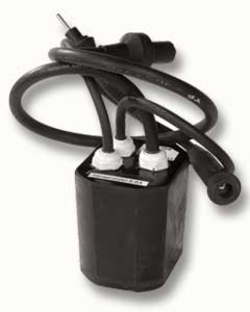 A further restriction is the limitation of the rated overvoltage to 12 kV.